A time measure of the special kind is this re-edition of the legendary table clock, which was designed by Angelo Mangiarotti in 1956 for a yacht and which is produced by Klein & More and sold all over the world. 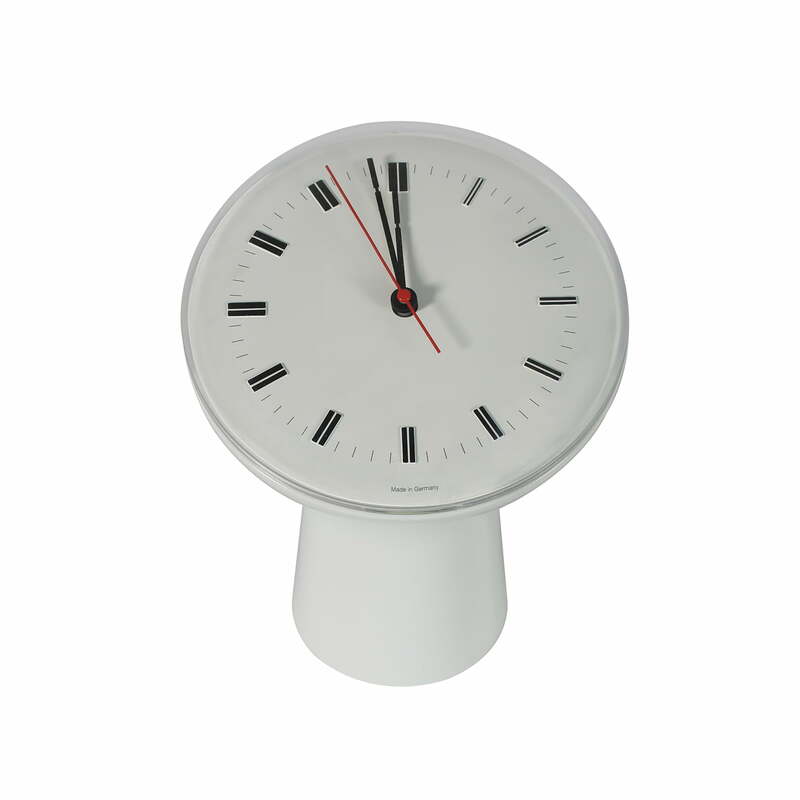 The clock after the design of Angelo Mangiarotti and seems to look at it. The black dial convinces through its plainness, just the double-lines for the hours become wider with consecutive time.